Star Wars KOTOR 2-The Sith Lords differs from the first game in its very premise. No longer are you trying to end the galactic war, but instead, you are free to become other classes aside from a Jedi of the Republic. Once again, the Mandalorians are wrecking havoc on a bunch of planets, requiring the Jedi to intervene. The other major event was the Jedi Civil War. 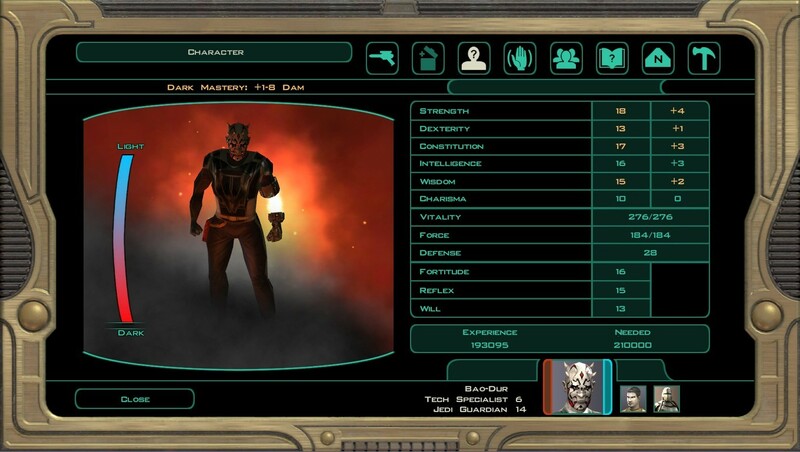 In KOTOR, a pair of Jedis named Revan and Malak led a group of allies to war. They were also put in charge of all the Republic’s military forces. Later on, they switched sides, attempting to invade the Republic. As a consequence, they now identify with the Sith Empire. Sequels seem to get a bad rep nowadays. By and large, the second one rarely matches up to the first. But I believe that this game is an exception because it takes the story, characters, and role-playing elements of the first game and brings them back with much-needed graphical improvements. Opposed to joining forces with Revan, you are one of the Jedi Exile. The Ebon Hawk is horribly damaged, leaving the surviving crew at an asteroid mining station. You soon discover the Jedi are almost extinct on the planets they resided in. Only a handful of them are alive, many being killed by leftover Sith lords. 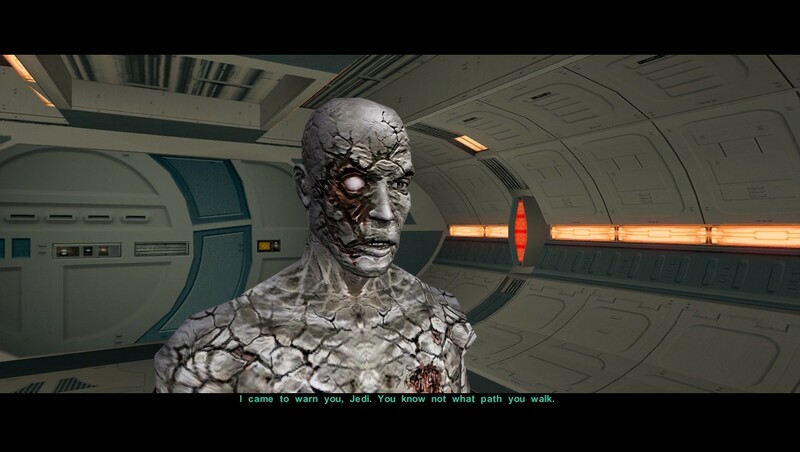 For those of you who haven’t read my review of Star Wars KOTOR, The galaxy has advanced after the days of the old Sith that fought under Malak’s banner. Accordingly, Malak’s forces were the former Jedi the galaxy has come to know; the events in the past leading up to the Jedi Civil War thanks to their massive betrayal. Due to this, the backlash towards the Jedi order had been so severe that the Jedi were labeled as dangerous, resulting in bounties placed on their heads by gangs. While the Jedi Order is spread thin from all sides, the truth of the matter is that they are hiding. Of course, the citizens are completely unaware. 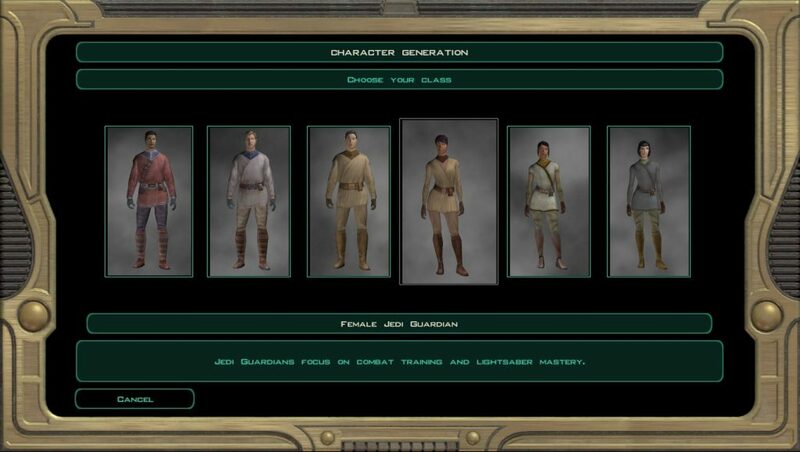 You play as a Jedi War veteran who wanders the galaxy into exile after taking part in the Mandalorian wars against the powerful will of the council. Even though you are a Jedi, you are not as strong as one might assume. As an exile, you have been stripped of both your lightsaber and your connection to the force. You wake up on a mine station in the middle of space, and after exploring a bit, you realize that the mining droids went haywire, likely killing off all the miners. 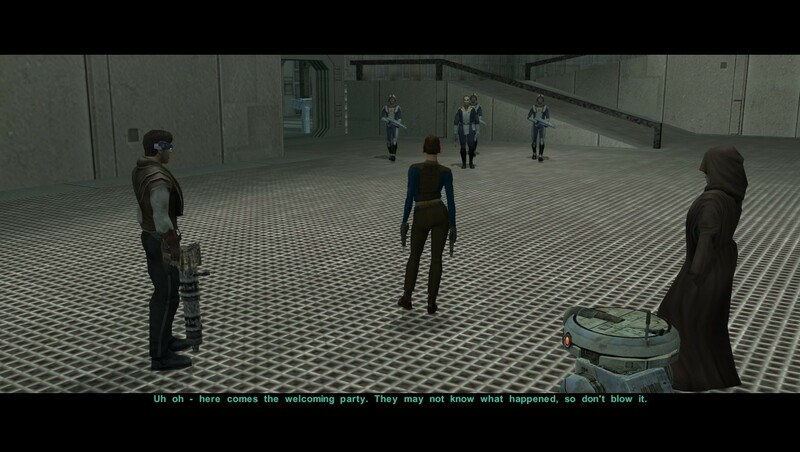 The remaining survivors are you, a rather familiar astromech droid named T3-M4 (left behind by Revan), an old robed woman named Kreia, and a smart-mouthed prisoner named Atton. In short, these guys are your starting party members. After a series of challenges, the four of you escape from the abandoned facility only to realize that you are also being chased by the Sith who is notably in command of a Republic ship, led by a weathered Dark Jedi. As you fight your way off the station you find that your connection to the force is returning, with a few side effects. Furthermore, you are bonded in some way with the old woman, Kreia who lets you feel the pain of her losing her hand to the Sith. For reasons unknown, she does seem intent on guiding and helping you despite her anti-social nature. Following the same formula as KOTOR, the story choices do determine your alignment and whether you get on someone’s good side or not. Upon landing on the planet Telos, it seems your troubles don’t end there; as you begin your escape from the Mining facility, you are quickly blamed for the station going up in smoke (lacking any proof of whether you caused it or if it was the Sith), in turn, you are taken in for questioning by the guards. After making your way around the rest of the planet, you leave with the old ship, the Ebon Hawk, with a list of the Jedi Council who cast you out and presumably cut you off from the force. Your goal is to find them and demand answers for what happened to you, in hopes of regaining your powers. All the while, you must avoid this new faction of Sith who seems intent on hunting you down. 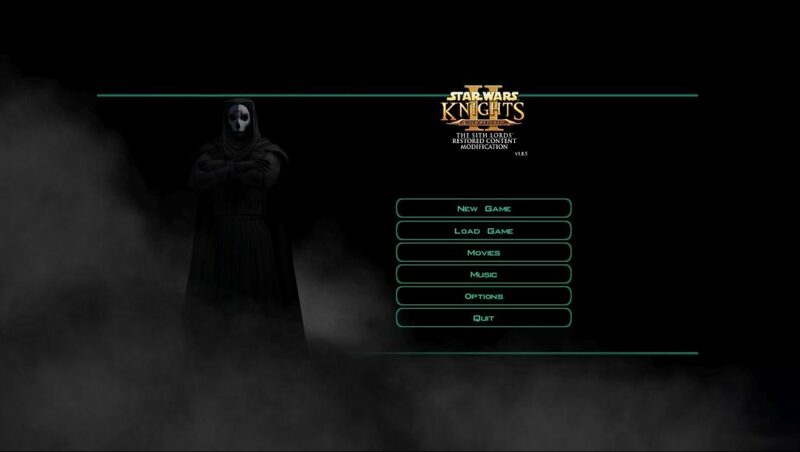 The general gameplay in KOTOR 2: The Sith Lords is pretty much piece for piece the same as in KOTOR, with more added feat options to help customize your character, as well as more force powers to choose from. On top of that, your skills can now be used to create specific upgrades for your gear rather than just relying on the basic stat raising system like the last game. Combat hasn’t changed much besides factoring in the new options that I mentioned earlier such as the improvements to both feats and customizing gear. Not only that, your allies now can shift to the light and dark side along with you based on how much influence you hold over them, complicating the character development part. Influence is gained or lost corresponding with your ally interactions and encourages them to be more like whatever alignment you chose, as well as convincing them to trust you more plus give you access to in-depth conversations with them. 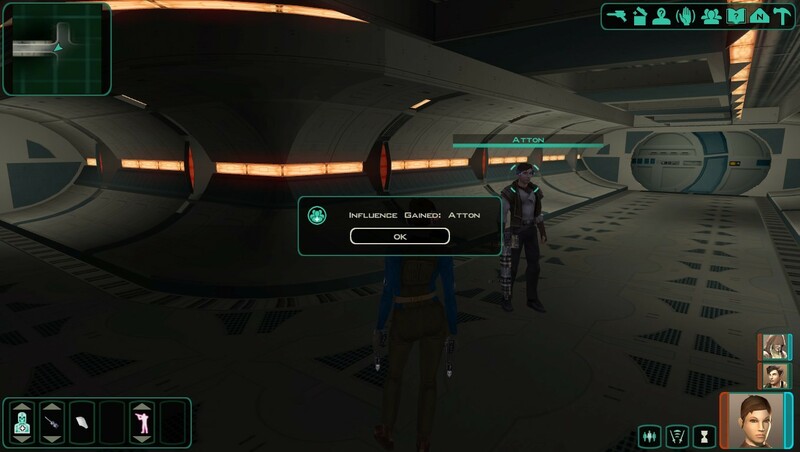 The game makes these dialogue options really pay off, as some of your companions can eventually be trained in the ways of the force. The active role you play in getting to know your allies is what makes the interactions feel like they carry more weight. Influence increases or decreases depending on if characters approve of your actions. In fact, your teammates frequently have conversations whenever you enter the ship. The side quests on each planet also provide light or dark points to calculate your overall alignment. 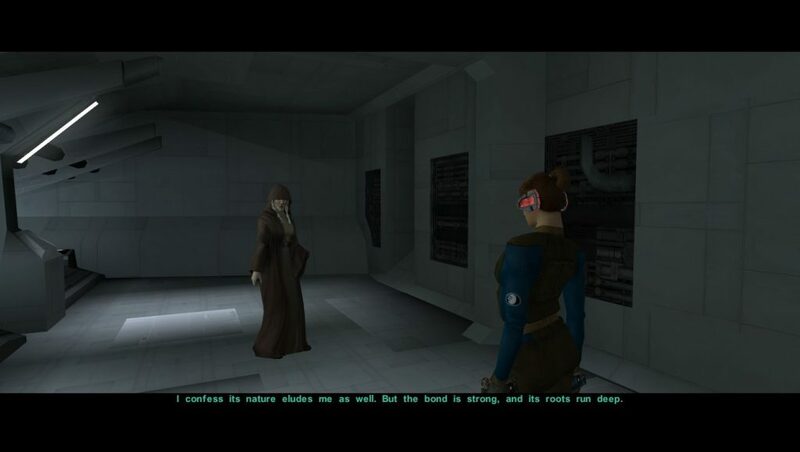 Overall, I enjoyed KOTOR 2 The Sith Lords. In my opinion, it’s better than the original because it has greatly improved upon the old system in almost every way, due to multiple playthroughs offering more to gain. The game splits up the options for teammates based on not just your gender but also your alignment, offering nearly double the number of teammates. The ability to train other teammates into Jedis depicts a “master student” impression of the rest of your team. The improved crafting system lets you feel like if you put in the time to improve your gear, you will be far more powerful; this means collecting resources from looting enemy bodies. Not only that, but unlike the first game, the second one has a Steam Workshop page, letting you mod the game to improve its quality like obtaining a lightsaber early on and customizing your companions and gear, as well as others I haven’t tried yet. My only really big critique of the game is that it takes too long to get to the point: In KOTOR II, you have to deal with two planets where the second one feels like you are just running around doing fetch quests. The classic Star Wars planets Nar Shaddaa, Dantooine, Telos, Korriban, and Onderon are back as well. 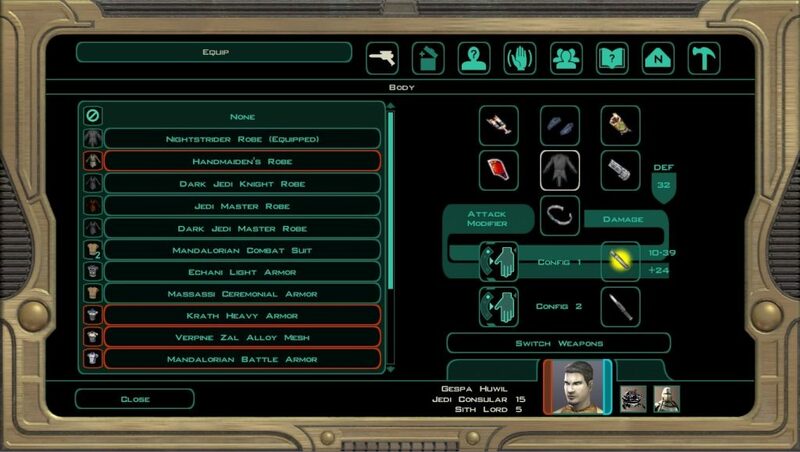 In spite of this, KOTOR II actually had a lot of content completely cut out by Obsidian due to time constraints. On top of that, comparing the big reveal of the second game simply didn’t stack up to the first one. That plot twist is likely one of the biggest revelations in gaming history, and while the second game tries, it doesn’t quite deliver.